Democrats are experts at seducing Republicans into abandoning their principled commitments. Over and over again, in contentious political skirmishes, Republicans relent in good faith -- after accepting the Democrats' promise to deliver on their side of the bargain in the future -- and immediately deliver their side. But that future never comes. In legal parlance, this is fraud in the inducement. 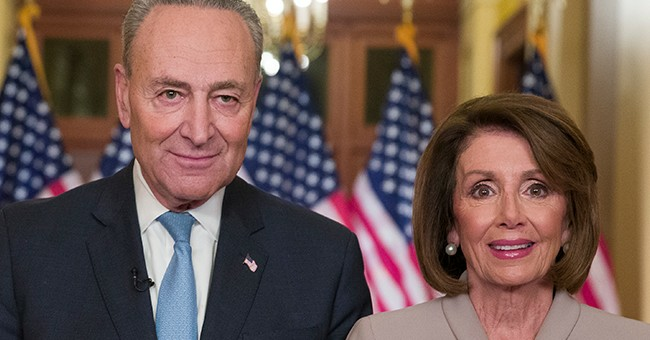 The Democrats risibly claim they oppose a wall because it would be an inefficient use of federal funds -- as if fiscal responsibility were even part of their passive vocabulary, let alone their active one. They insist that focusing on border enforcement is imprudent because most illegal immigration occurs from people overstaying their visas. Regardless of the accuracy of that claim, it is absurd to oppose border enforcement because it is only one important part of a series of necessary steps toward enforcement. How does this debacle ever end? It won't be easy, because Republicans must get substantial funding for a wall if Trump is to preserve any chance at re-election in 2020 and because Democrats feel no urgency, seeing as the status quo on immigration suits their purposes and advances their political interests. Democrats have no desire to resolve the issue without bringing Trump to his knees in abject capitulation. They think they've cleverly backed him into a corner because he said in the infamous Oval Office meeting that he would accept responsibility for a shutdown if Democrats wouldn't agree to substantial wall funding. Everyone knows that what Trump meant was that he was willing to shut down the government over the wall, which he believes is essential for our national security -- not that it would be his fault if they couldn't come to an agreement.